Why is Bread Bad For You? ThIs Is The Shocking Truth! It has been known for a long time that white bread and refined grains in general aren’t particularly nutritious. Nutritionists and dietitians all around the world have encouraged us to eat whole grains instead. But grains, especially gluten grains like wheat, have been under intense scrutiny in recent years. Many respected health professionals now claim that bread and other sources of gluten grains are unnecessary at best and potentially harmful. Why Is Bread Bad For You? Even whole grain bread usually isn’t made out of actual “whole” grains. They are grains that have been pulverized into very fine flour. Even though this process reserves the nutrients, it causes these products to be digested rapidly. 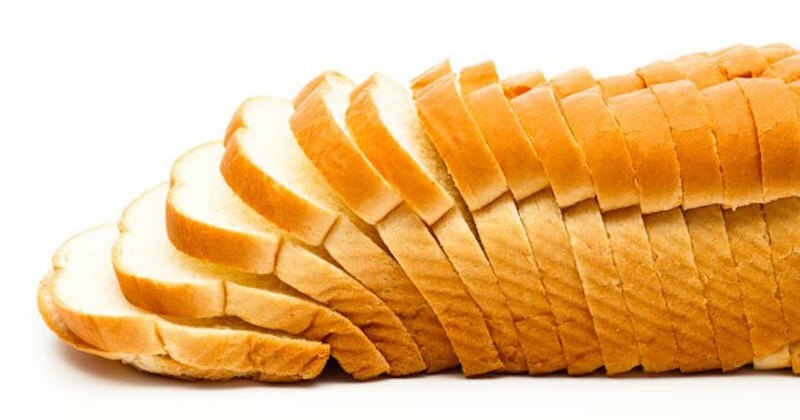 The starches in bread get broken down quickly in the digestive tract and enter the bloodstream as glucose. This causes a rapid spike in blood sugar and insulin levels. Even whole wheat bread spikes blood sugar faster than many candy bars (1). When blood sugar goes up rapidly, it tends to go down just as quickly. When blood sugar goes down, we become hungry. This is the blood sugar roller coaster that is familiar to people on high carb diets. Soon after eating, they become hungry again, which calls for another high-carb snack. Elevated blood sugars can also cause glycation at the cellular level when the blood sugars react with proteins in the body. This is one of the components of ageing (2). Studies on carb restricted diets (which eliminate/reduce starches and sugars) suggest that individuals who are diabetic or need to lose weight should avoid ALL grains (3, 5). Bottom Line: Most breads are made of pulverized wheat. They are easily digested and rapidly spike blood sugar and insulin levels, which can lead to the notorious blood sugar “roller coaster” and stimulate overeating. Wheat contains a large amount of a protein called gluten. This protein has glue-like properties (hence the name gluten) responsible for dough’s viscoelastic properties. Evidence is mounting that a significant percentage of the population is sensitive to gluten (6, 7, 8). When we eat bread that contains gluten (wheat, spelt, rye and barley), the immune system in our digestive tract “attacks” the gluten proteins (9). Controlled trials in people without celiac disease show that gluten damages the wall of the digestive tract, causing pain, bloating, stool inconsistency and tiredness (10, 11). Gluten sensitivity is also associated with some cases of schizophrenia (12, 13) and cerebellar ataxia (14, 15 (Oxford Journals) – both serious disorders of the brain. Gluten is probably harmful for most people, not just those with diagnosed celiac disease or gluten sensitivity. The only way to really know if you’re gluten sensitive is to remove gluten from your diet for 30 days and then reintroduce it and see whether it affects you. 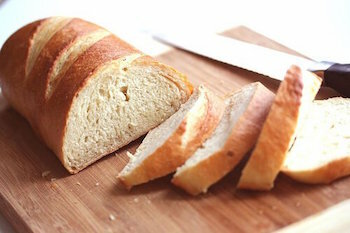 Bottom Line: Most breads are made of gluten grains. Gluten causes an immune response in the digestive tract of susceptible individuals. This can cause digestive issues, pain, bloating, tiredness and other symptoms. Most commercial types of bread contain sugar or high fructose corn syrup, just like other processed foods. Sugar causes many adverse effects and eating processed foods that contain it is likely to have detrimental effects on health. Most grains also include the “anti nutrient” phytic acid. Phytic acid is a molecule that strongly binds essential minerals like calcium, iron and zinc, preventing them from being absorbed (16). Soaking grains before baking can degrade the phytic acid, which should improve the availability of minerals. 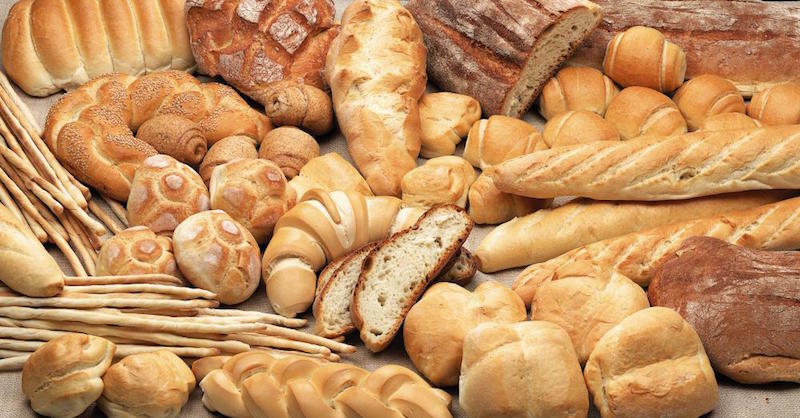 Bottom Line: Most breads contain sugar, which is extremely bad for you. They also contain “anti nutrients” that block the absorption of minerals like calcium, iron and zinc. There is NO nutrient in bread that you can’t get from other foods in even greater amounts. Even whole wheat bread isn’t as nutritious as you may think. Not only is it low in nutrients compared to other real foods, it literally reduces the absorption of nutrients from other foods. Calorie for calorie, whole grain breads contain a low amount of nutrients compared to real foods like vegetables. The phytic acid blocks absorption of minerals like iron, zinc and calcium (17). By damaging the intestinal lining, gluten decreases the absorption of all nutrients (18). Grains do not contain all the essential amino acids and are therefore poor sources of protein for humans (19). Wheat fiber may cause your body to burn through its Vitamin D stores much faster and contribute to vitamin d deficiency (20), which is associated with cancer, diabetes and death (21, 22). Bottom Line: Most breads aren’t very nutritious and the proteins in them aren’t of much use. A damaged intestinal lining along with phytic acid reduces availability of nutrients. Wheat may also exacerbate vitamin d deficiency. In one study, 36 men were randomized into two groups. They were instructed to eat either whole oat cereal or whole wheat cereal (23). After 12 weeks, the researchers measured blood lipid levels in both groups. The oat cereal decreased LDL cholesterol and small, dense LDL. Basically, whole oats significantly improved the blood lipid profile. However, the whole wheat cereal increased total LDL cholesterol by 8% and small, dense LDL by a whopping 60%. Small, dense LDL is the type of cholesterol that is strongly associated with heart disease (24, 25). What this means is that whole wheat significantly harms blood lipids and may drastically raise your risk of heart disease. Yes, that slice of “heart-healthy” whole wheat bread may be killing you. Bottom Line: Eating not-so-“heart healthy” whole wheat may raise small, dense LDL cholesterol by a whopping 60%. This type of cholesterol is strongly associated with heart disease. It is true that whole grain breads are better for you than breads made with refined grains. They contain more nutrients and fiber. However, they’re just the lesser of two evils. It’s like comparing unfiltered cigarettes to filtered cigarettes. Filtered cigarettes are less harmful, but that does not make them healthy. If you really must include bread in your life, then there are some options that aren’t quite as bad. Bread made with soaked and sprouted grains may be less bad for you than regular bread. Preparing it this way reduces the amount of phytic acid. Ezekiel bread, for example, is made of sprouted grains. This probably makes it less unhealthy than other breads. Gluten-free breads may also be healthier than those made with gluten grains like wheat, spelt, rye and barley. Bottom Line: Whole grain breads are better for you than breads made with refined grains, but the best option is no bread at all. 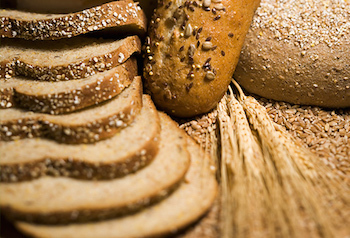 Breads made with soaked and sprouted grains may be less unhealthy. Anyone who needs to lose weight, has digestive issues or is somehow affected by the western diet should eliminate bread and other sources of gluten grains. If a damaged intestinal wall, blood sugar roller coaster, bloating, tiredness and a 60% increase in small, dense LDL isn’t a good enough reasons to quit eating bread, then I don’t know what is. This article was originally published on AuthorityNutrition.com. It is republished here with permission.